There are many valid reasons YOU should join VMH as a paid member in 2019. Make a secure one off payment of £25, get instant ongoing access. Joining up helps with our ongoing harbour coverage work... It's impartial, thorough and extensive. And is used a lot by those who move around the coasts of the UK and Ireland. If you use it, you should join. Our harbour coverage is available (to members only) as downloadable PDFs, always up to date. Research the places you may want to stop... and download our coverage to your tablet for offline use at sea. As an added incentive members get the physical and downloadable "For Nav" products we make at deep discounts (for example UK-Ireland Android Charts for Marine Navigator.. £8.99 members £15.95 non members). So with a "For Nav" VMH product, plus membership, you have all the tools to RESEARCH,PLAN & NAVIGATE your way around the UK coastlines..and much further too. Note although we make products with SHOM French charts, they are not available for online viewing at present. 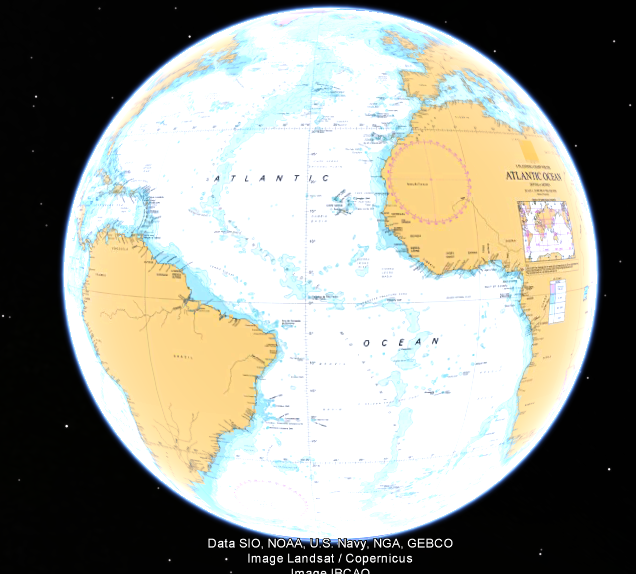 Ramping up Google Earth as a nav & research tool. We were the first in 2012 with individual semi transparent overlay charts online. Now we've made it seamless ! What are SEAMLESS online VisiCharts ? NEW.. Now for full members we are streaming all UK/Ireland, Belgium, Netherlands, Spain and Portugal charts in a form that drape themselves over Google Earth imagery... yes our own VisiCharts. Seamlessely. Start with a globe covered in chart ! Truly visualise your destination and know what to expect, other charts can't really help. The combination of satellite imagery and overlaid chart is stunning. Quilted chart layers make ordinary raster charts behave like vector charts, but with far more detail. No need to keep changing charts, the best scale pre-loaded chart for the depth of view is presented automatically. 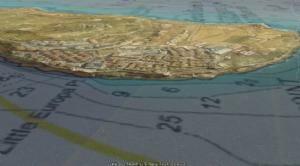 Familiarity: Why use a strange, new, and difficult to get used to program... VisiCharts harness the powerful geo-browser engine in Google Earth, a tool you probably already use. Tools already built into GE can handle simple routes and waypoints. Important note: This is stil an experimental service, we reserve the rights to change, modify or withdraw this at any time. OK, let's see how members actually make full use of VMH in 2018. Research: Online here on the VMH site. Find info about possible stopping places, moorings, prices, see photos, etc. Examine the possibilities using the VisiCharts online with satellite/chart overlays. Navigate: Using one of our "For Nav" chartpacks, often on an Android device. Routes, waypoints, etc can all be put in at the planning stage.. and easily tweaked for real time circumstances. Conclusion: VMH provides an all round essential service and products for those who plan to navigate anywhere in the UK, sail, motor or trailer sailor. Gain online access to 1667 zoomify charts/plans that will fill your whole screen with chart. Make a secure one off payment of £25, get intant ongoing access. 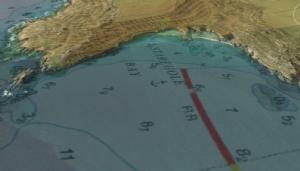 These online charts and tide tables are "Not for Navigation" purposes. (In common with charts and plans in pilot books and Almanacs) Membership is an online chart VIEWING service, it's not a chartplotting navigation system, you can't connect GPS input to it, plot AIS on it etc. See Legal notices and conditions. Memberships are for individuals only, not clubs or organisations. PCs and Macs with browsers that support Flash Player (98% of all): All full screen charts, full screen versions of "free" harbour charts around the site, all Zoomify tide tables. PCs and Macs with Google Earth installed: Seamless VisiCharts within members area in addition to above. We will be displaying all the UK/Irish charts that are available. There are however a couple of exceptions where copyright issues prevent us from displaying the whole chart. A 12 month rolling replacement scheme will ensure UK charts are always up to date, urgent replacements will be made quarterly. International charts: Our growing collection is going online as fast as possible. It stands at 1667 charts/plans online, with input from Spain, Portugal, Belgium, the Netherlands and Brazil amongst others. International charts are updated less frequently. No detailed French coverage at present. This does not expire and there's no more to pay. How long does this last ? As long as this site is running, and the UKHO continue to license us (been running 9 years now and growing all the time). There will be no partial refunds in the future, and we cannot be held responsible for events outside of our control. 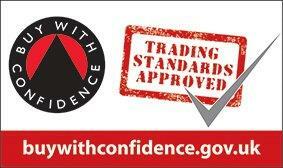 We are a bona-fide business, and have achieved the Trading Standards buy with confidence logo. Join NOW and have access to the best up-to-date charts and tide tables for years to come. When you join up with VisitMyHarbour.com, you are not enriching the coffers of some moneygrubbing PLC. You're not paying £7.50+ for some smeared 2 page black and white photocopy from an archived magazine. You are able to examine in the finest detail over £12,810's worth of up-to-date charts. Paid up member or not, we endeavour to answer all your enquiries and help in any way we can. We truly do believe in the brotherhood of the sea, and aim to work in a spirit of co-operation. We are in the ongoing process of gathering and building up the best and most up to date pilotage information available for UK waters, and with your support we'll accomplish it. We are also now making top selling "for navigation" chartplotter packages for your laptop, and for Android. Please support our work by joining up as a member. It may also be fashionable to knock the UKHO in some circles, grumbling about taxpayers money etc. The fact is they provide the source information for all things nautical around our coasts, licence their copyright data, and stand on their own feet as a trading fund without taxpayers money. Long may it remain that way.